For the third year in a row, Power to Change are sponsoring the Locality Convention; in fact we are proud to be the lead sponsor of the whole two days. 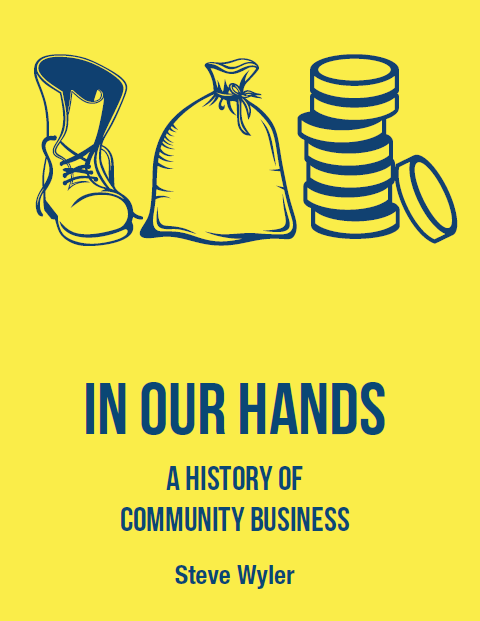 You will see us popping up all over the place but the main event for us will be the launch on the first evening of ‘In Our Hands: A History of Community Business’. First of all, we promise good food and ample drink as well as time to catch up with old and new pals from the convention, but that’s not all. As you enter the Alexandra Suite at the Midlands Hotel, you will be transported back in time to discover more about the history of community business. Why? Because Power to Change are launching a brand new book written by Steve Wyler, former Locality CEO, entitled ‘In our hands: A History of Community Business’. And if you attend the evening’s festivities, a free copy will be yours, with luck signed by Steve himself. The book illustrates community businesses as an enduring idea dating back to the Romans. The truth is, for generation after generation, stretching back hundreds of years, people have harnessed the entrepreneurial instinct as a force for the good of their neighourhoods, not just for private benefit. The spirit of community business has re-surfaced thoughout our island’s history, from the Levellers and Diggers of the English Civil War, the model villages at Port Sunlight and Letchworth Garden City, the sheer bloody mindedness of the 19th century inhabitants of Hastings as they seized the ‘America Ground’ and today’s pubs, hubs, libraries, housing projects and every other variety of community business. You never know, yours might be written up in it. In fact, the stories of community business in the book demonstrate enthusiastic support from unlikely places, from radicals to conservatives, from the poorest to the richest. Looking backwards helps us to look forward with greater confidence for the community business movement in the future. Once you’ve explored the history, wander over to the present day where you’ll be able to get interactive and leave your mark on this illustrious history as well as predict its future. So please join us and eat, drink and be merry on 14 November.